Full coverage has different meanings to different people. When most people refer to full coverage they’re referring to a mix of insurance coverages to protect their vehicle. That being said, there is no such thing as “full coverage” just a combination of coverage options that will protect your vehicle as well as others on the road. Let’s look at this closer. Some coverages such as Bodily Injury and Property Damage (also known as liability insurance) are required by law. You can choose just how much liability insurance to carry, but at a minimum, this is required by your state law in order to drive your vehicle. Other coverages such as Collision, Comprehensive, Personal Injury (PIP), MedPay, Roadside Assistance, Rental Reimbursement, and Uninsured/Underinsured Motorist (UM/UIM) are optional coverages in most states. Some states do have laws that also require UM/UIM and PIP/MedPay be purchased. So, the choice really becomes, “How much insurance do you want?” Deciding on how much insurance you want or need is a combination of factors that only you can decide. A licensed insurance agent can help you decide on what options may be best for your situation, your budget and your needs, but ultimately, the choice is yours to decide. 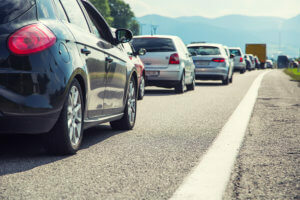 Contact Insurance Brokers of Arizona for an auto insurance quote or a review of your current policy. We strive to make sure all of our clients have the proper coverage for their needs. https://insurancebrokersofaz.com/wp-content/uploads/2018/12/bigstock-194991922.jpg 600 900 Administrator https://insurancebrokersofaz.com/wp-content/uploads/2018/10/IBOAZ-Transparent-Logo.png Administrator2018-12-27 05:39:522018-12-13 13:44:21What is “Full Coverage” Auto Insurance? The holiday season is here! 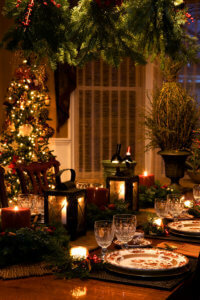 No matter how you celebrate, you have likely added some holiday décor to your home. Lights, candles and festive plants add a wonderful, warm ambiance to areas of your home but take some extra steps to ensure that your décor pieces don’t wreak havoc on your holiday. Watch for dry needles. Whether it’s your Christmas tree, wreath or garland, chances are they may dry out. If you find that pine needles are falling, clean them up immediately. Dry pine needles increase your risk for a fire hazard. If you find your tree, wreath or garland is extremely dry & it’s decorated with lights dry, toss it – nothing is worth the risk of a fire. Prevent your chance of fires. Christmas lights are bright and festive, but they could put you at the biggest risk for a fire. Check for any wear on the strings, cracked bulbs or any other signs of damage. Don’t try to repair them, instead replace them. LED lights emit less heat, so if you need to make the switch, choose LED lights that have been safety tested. You can read on the box if they have been inspected by looking for an UL logo. Centerpiece Candles! Yes, we all know we should watch our candles. Ensure all candles are kept in a non-flammable holder. However, it’s important to keep a close eye on your centerpiece decoration if you plan to light the candles during your holiday dinner. If the candles burn too long, the centerpiece can catch fire. Even consider battery powered flameless candles. You have to look close to tell they’re not real! Choose a safe spot for your tree. Keep your holiday tree away from your fireplace, radiators, space heaters or any other area in your home where it could catch on fire. It should be at least 3 feet away from any heat source. Be festive, yet smart with your holiday lights. Whether your house looks like the Griswold’s or you just like to put up a single string of lights, your energy bill will increase during the holiday season. To avoid an extremely high electric bill, choose a window of time when your holiday lights will be turned on. For example, from 5:00 PM to 10:00 PM. Avoid leaving your lights on all night. Place your holiday plants in a safe place. Choose areas away from young children and pets. Do not leave plants on the floor or a place where a child could easily reach for it. By taking a few extra steps like unplugging your holiday lights before you go to bed or when you leave the house, can help you avoid a decor disaster this holiday season. Insurance Brokers of Arizona can assist you with any questions you may have, like “Does my homeowner’ insurance cover accidental fires?” Our expert agents can walk you through your policy and even add additional coverage like personal umbrella insurance should you want extra protection beyond your homeowner’s insurance. Contact us today.